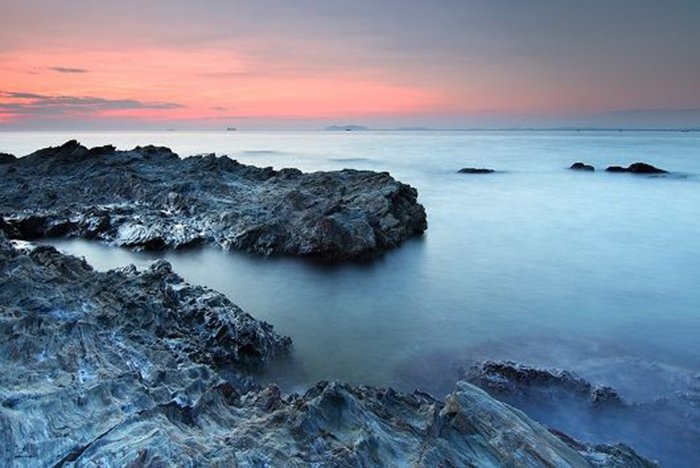 While Phu Yen’s cliffs of stone plates (Ghềnh Đá Đĩa) may be particularly unique, we dug up a few other rocky beauties along Vietnam’s coast. 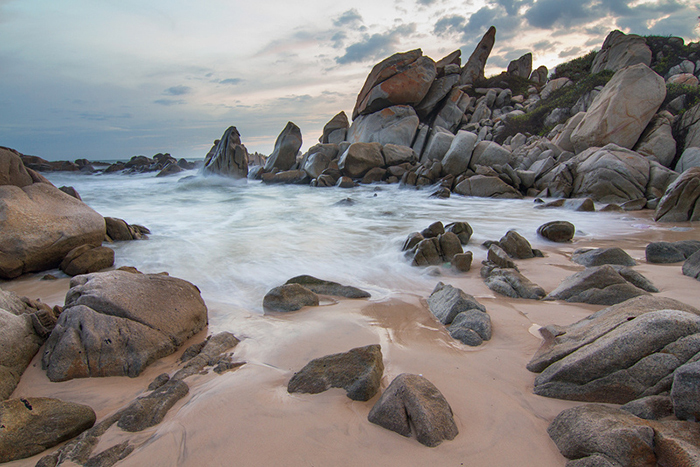 This clean, beautiful beach is highlighted by the striking rocky cliffs stretching along it. These vary in shape (e.g toad, tiger, elephant, etc. ), and the stones on Da Nhay Beach also change color depending on the seasonal tide. There is a well in a nearby cave called Hang Coc (Toad’s Cave) which can only be entered by crawling through a toad-shaped rock. Who’s in? 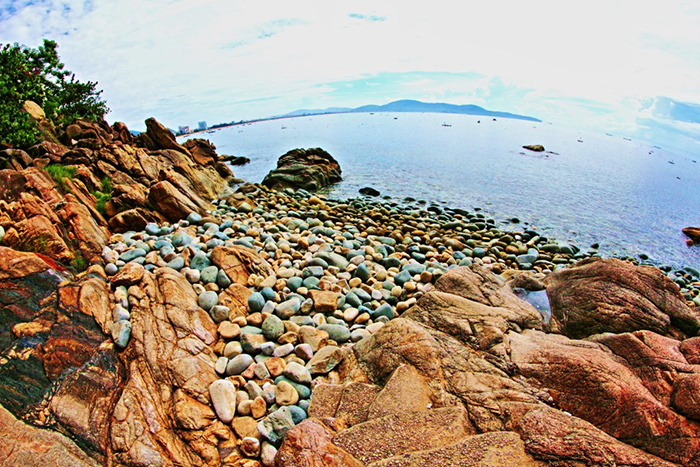 Hoang Hau (The Queen) is a shore full of egg-shaped stones which also includes the tomb of Han Mac Tu – a talented but unfortunate poet who died from leprosy. This black reef stands out from the blue sea into which it protrudes and the overhanging Ban Than Cliff consists of layers of overlapping rocks of different sizes and shapes. 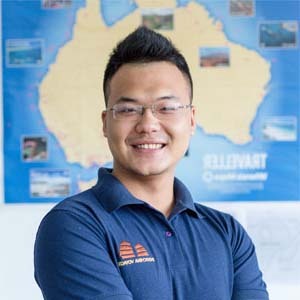 Stretching 2 kilometers, Ban Than Reef creates a magnificent sight where land meets sea. 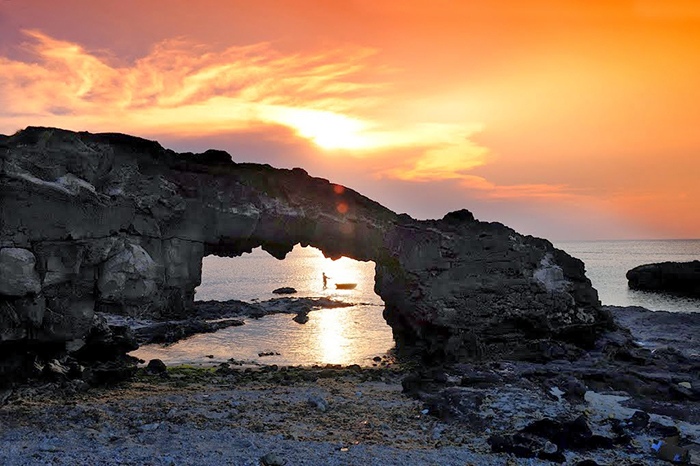 Arching over the seascape of Ly Son Island is To Vo stone arch is a result of millions of years of volcanic activity. People on Ly Son Island call it Heaven Arch. It’s easy to see why.